Thank you for all your lovely comments & support re IVF. I am feeling a little better now I've got back into crafting!!! Couple of tear free days!! I still have a HALF PRICE SALE on craft products so make sure you check that out. 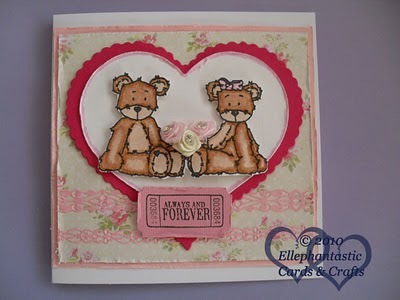 I am also sponsoring One Stop Craft Challenge blog today so pop over & play along!! Ah Helen, a stunning card, I really like the way you have put flowers in the middle and your colouring is superb!!. Enjoy the rest of the weekend.